Call us for bookings or for further information on our expert marriage counselling service at Baulkham Hills, in the Norwest Business Park. Based in the Sydney Hills District, our couples counsellors, marriage counsellors and relationship counsellors have extensive experience and specialist training in couple counselling. We can help with all common marriage and relationship concerns. Whether you need help with frequent arguments, loss of desire, sexual difficulties, help after infidelity, stress in the relationship or other issues, taking the first step to resolving the problem can bring lots of relief. The reality is that most couples are apprehensive about relationship or marriage counselling, especially if they have never attended a couples counselling or individual therapy session before with a psychologist or counsellor. 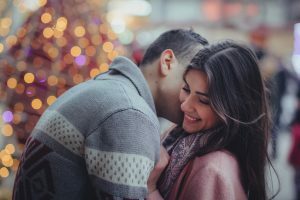 It’s normal to wonder and even worry about what the psychologist will be like, whether they will take sides or what you may have to reveal as part of couples therapy. These feelings typically pass after the first couples session. Typically, your counsellor will recommend that both people in the relationship attend the couples counselling session together, at least initially. This is to help establish rules, goals and boundaries that are clearly about the couple and their relationship. Sometimes we will recommend that clients meet with the psychologist individually, and many of our clients find it helpful to see the therapist first as a couple, then individually, in turns, and then to meet up again with the therapist as a couple. However, the structure is not prescribed by us. It is determined by the individual needs of clients, and many couples only have counselling sessions where they attend together. For some couples, other issues can get in the way. If there is an individual issue such as anxiety, addictions or depression then, depending on the issue and your situation, your couples counsellor may suggest you see another Psychologist to help with that separately. Many clients will benefit from a therapy such as Emotionally Focused Therapy. What can a couples counsellor help with? general Psychologist services for individuals. We know relationships are not a one size fits all. The Australian Bureau of Statistics (ABS) records indicate that around 40% of Australian marriages will end in divorce. There are many reasons why relationships fail, including infidelity, fighting, unresolved conflict, ethical or cultural differences. Seeing a marriage counsellor can help with the decision making, or, if you have already decided to separate, to help make the process of separation or divorce more amicable. Separation and divorce have both emotional and practical outcomes. However, divorce is usually the last step for an unhappy couple, especially when children are involved. Due to the significant impact, making the final decision is often one where relationship counsellors get involved. Relationship counselling may help repair marriages in a variety of ways. 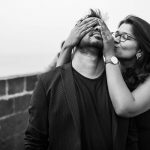 couples may remember what it is that works in their relationships. Having a safe space to explore the issues causing difficulty – and working with someone trained in a range of relationship strategies that may reduce conflict can be incredibly helpful. How will the divorce affect our children? How will separation affect my financial situation? Where will I live? What will happen to the family home? Who decides where the children live? How will separation affect our friendships and our families? Working through these issues with a psychologist can be an invaluable resource at a difficult time. And if my partner doesn’t want to come? Talking to a qualified marriage or relationship counsellor can help, even if you do so alone. For many of our clients who did not initiate their separation, working with a relationship counsellor to better understand what went wrong, what may have contributed to the problem, to resolve their own grief, loss and anger and find a place of acceptance can be incredibly helpful. Blended families are common. Even so, that doesn’t mean that all blended families find the process easy. Many children harbour secret hopes that their natural parents will reunite, making them a ‘happy family’ with a simple life. They may need some counselling support and strategies to work through their feelings and make sense of their world.New step siblings may lead to changes in relationships that are positive and negative. We know that step families can create wonderful opportunities to develop new, rich family relationships. And we know that joining a family together can be a challenging and sometimes difficult process. Children often need time to adjust to the new people in their lives. They may be uncomfortable with new living arrangements, new routines. 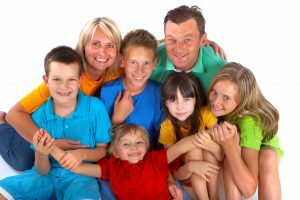 For adults in a blended family it can be important to stay alert to the needs of the children and to remain patient as the family adjusts to change. Adults may also find they need to become more in tune with their own emotions and may wish to seek support during their own adjustment period. New partners may be jealous of the attention given to children from past relationships. Step parents may have conflicted feelings, and may need support to resolve their feelings towards their partner’s children. Discipline – is it appropriate for a step parent to discipline their step child? What about early on in the relationship? What are the strategies for managing conflict? What if none of the parents agree? Ex-partners and new-partners. What happens when every attempt to be civil and respectful to ex-partners goes wrong? How can the children be protected and respected in the middle of the adult chaos? What should I do when my child appears to dislike my new partner or their children? Our family and relationships Psychologists are trained to work with your family rather than individually. We offer longer appointment times, and purposefully designed, private rooms to create a safe space for positive change. When you call our intake team will assist you to decide on the Psychologist best suited to your needs. Our counsellors can assist with common relationship issues like frequent arguments, trust issues including infidelity, lack of desire, anger, angry fights and more. We know getting together at the right time can be challenging, so we can offer a selection of appointment lengths and times, at our private rooms in Norwest Sydney (Sydney Hills District), or online using our secure platform. To make a confidential enquiry just call and speak to our intake team. There is no obligation. We will provide you with the information you need to make an appointment or to speak to your partner about the options available.